Thanksgiving Is a Sham Holiday. Give Yourself Permission To Enjoy It. — Catalyst Wedding Co.
Thanksgiving Is a Sham Holiday. Give Yourself Permission To Enjoy It. So tomorrow is Thanksgiving, and obviously, it’s a pretty complicated holiday. Remember in Season 4, Episode 8 of Buffy the Vampire Slayer (oh, I’m sorry, do you not have all of the episodes memorized?!) when Willow is trying to make everyone realize that Thanksgiving is a sham holiday commemorating the slaughter of native peoples? (It’s sort of sad that the best pop culture reference I can come up with for why Thanksgiving is messy is from 1999, but stick with me here.) Willow is right. Thanksgiving has long glossed over the fact that Europeans came to the Americas and killed thousands of native peoples in order to use their resources and take their land. The idea that we all just sat down together after that and had a great big meal doesn’t seem likely, and it ignores all the damage that was done, and is still being done, to Native Americans. 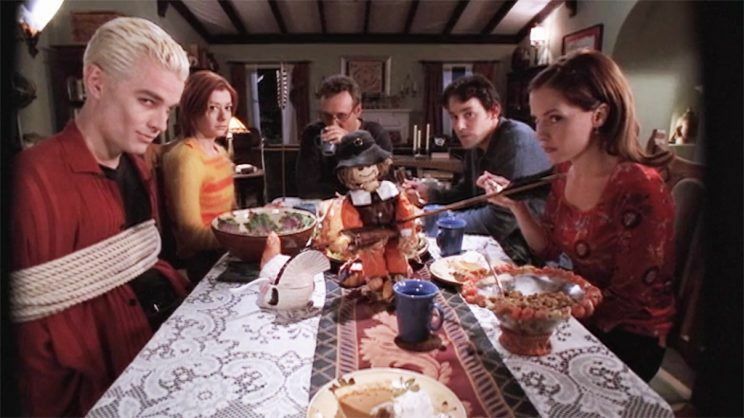 And even though Buffy agrees with Willow, her argument that Thanksgiving makes her feel safe and happy in a world where she is constantly fighting for her life is a strong one. “It’s a sham with yams,” she says. “It’s a yam sham!” The episode sort of goes off the rails from there, but this conversation is important. While I want all of us to remember the origins of this historically toxic holiday and to educate others on why having kids dress up as pilgrims and “Indians” for a school pageant is NOT OKAY, I’m also going to acknowledge that a lot of people need this holiday. Our world is a pretty scary place right now, and depression and anxiety are very real issues that people are facing. Stress-related long-term health issues, such as heart disease, also tend to more greatly impact marginalized communities, especially black people. In the last year, 10.3 million people in the U.S. suffered a depressive episode that severely impaired their ability to function. Add in the factors of seasonal depression, and this time of year becomes a mental health perfect storm. So when I say people need this holiday, I mean that for some people coming together with their friends and family, feeling safe and loved, and eating some damn good comfort food is a literally a lifeline. Bonus, did you know that tryptophan, the amino acid found in turkey and other traditional Thanksgiving day foods can actually reduce anxiety? The more you know. Now granted, I’d like to see our country give people time off to connect with their love ones for less problematic holidays, or at least change the narrative around Thanksgiving to honor native communities and acknowledge their endless contributions to our country and end this myth that Europeans are the heroes of the story. But if you need this holiday, I want you to give yourself permission to enjoy it. Take the time off, snuggle on the couch, and forget the world for a day. Believe me, it will still be there when you get back. Finally, since this is a sham holiday and it’s only real purpose is to let you relax and show gratitude for the people in your life that love and support you, you DO NOT need to spend it with people who don’t do that. If spending time with your family leaves you feeling more depressed and alone, then make up an excuse and spend the day with yourself, your friends, or with your favorite TV show. If this holiday is about giving thanks for the things and people that make you happy and sustain you, then why spend it any other way? So happy comfort food day, y’all. May it bring you the solace and support you need to make it through the rest of this year. We’ll see you back here on Monday. 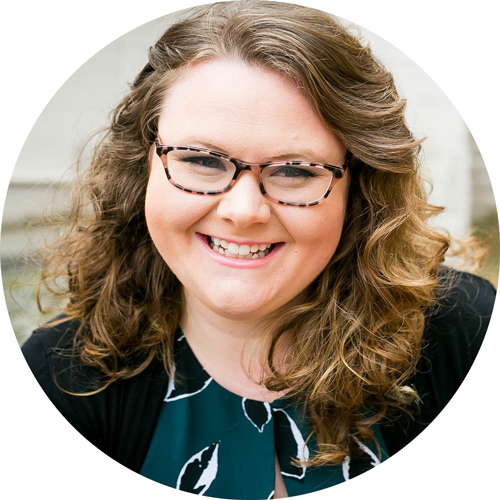 Jen Siomacco is the CEO and Editor-in-Chief of Catalyst Wedding Co. She works to mesh together her love of feminism, love stories, accessibility, equality, and design into the Catalyst brand. When she’s not traveling the country working to make the wedding industry a more inclusive place, she’s writing on her couch and snuggled up with her husband and SUPER lazy cats.